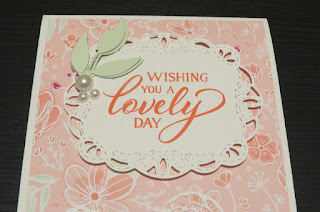 Stampin'Up has a new Forever Lovely Bundle. The bundle includes a stamp set and the Lovely Flowers Edgelits Dies. These dies are special and cut out fun sections of the cards. 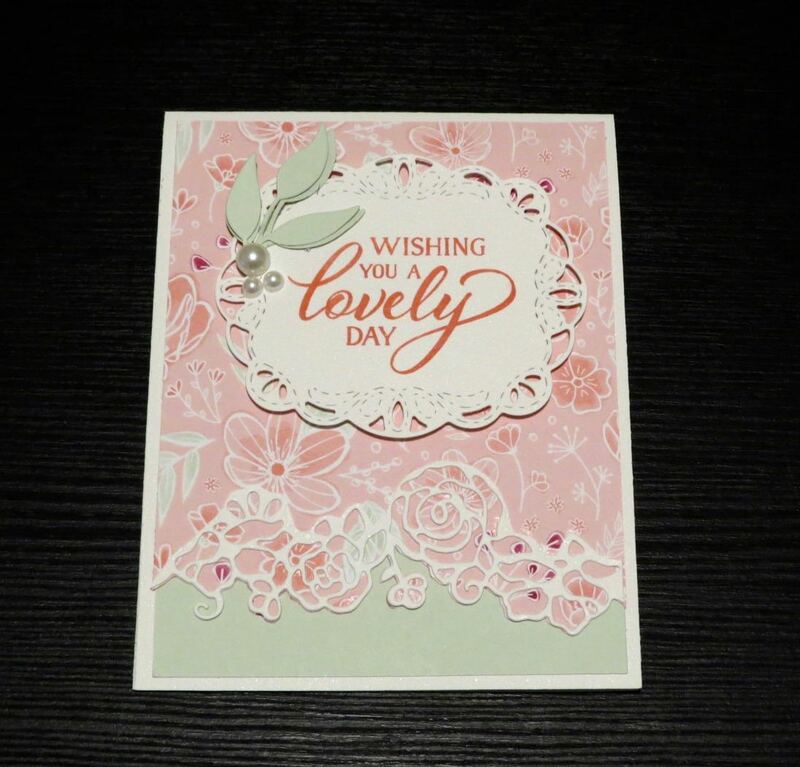 This gorgeous card was made by my friend Brenda. I love that she combined this bundle with the Stitched Labels framelit dies. The gorgeous designer paper is part of the same product suite. It's called Forever Lovely. Here's a supply list for this card.